Are you data-flooded, data-driven, data informed? 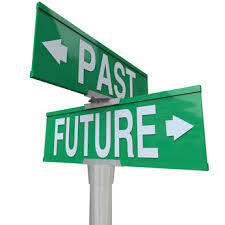 Are you outcome oriented, insight driven or hindsight driven? Are you a firm where executives claim – “Data is our competitive advantage.” Or sprout analogies like, “data is the new oil”. The challenge I found in most companies is not dearth of vision… everyone has a strategy and a 100,000 ft general view of the importance or value of data. Every executive can parrot the importance of data and being data-driven. The challenge is the next step….so, how are you going to create new data products? How are you going to execute a data driven strategy? How are you going to monetize data assets? What are the right business use cases to focus on? How to map the use case to underlying models and data requirements? What platform is a good long-term bet? The devil is in these details. Everyone is searching for new ways to turn data into $$$ (monetize data assets). Everyone is looking for new levers to extract value from data. But data ingesting and modeling is simply a means to an end. The end is not just more reports, dashboards, heatmaps, knowledge, or wisdom. The target is fact based decisions, guided machine learning and actions. Another target is arming users to do data discovery and insight generation without involving IT teams…so called User-Driven Business Intelligence. In other words, what is the use case that shapes the context for “Raw Data -> Aggregated Data -> Intelligence -> Insights -> Decisions -> Operational Impact -> Financial Outcomes -> Value creation.” What are the right use cases for the emerging hybrid data ecosystem (with structured and unstructured data)? The convergence of cloud, social, mobile and connected computing has sparked a data revolution. More than 90 percent of the world’s data has been generated over the last two years . And with a projected 50 billion connected “things” by 2020 , the volume of data available is expected to grow exponentially. This proliferation of data has created a vast ocean of potential insights for companies, allowing them to know their customers in a whole new way. Data is valuable. Data is plentiful. Data is complex. Data is in flux. Data is fast moving. Capturing and managing data (Cloud, On-Premise, Hybrid IT) is challenging. It’s a paradox of the information age. The glut of information that bombards us daily too frequently obscures true insight. Help people uncover, see, understand and visualize data presents a broad and momentous market opportunity….call this user-driven discovery. Take for instance, Facebook (like Amazon.com) builds a custom Web page every time you visit. It pores over all the actions your friends have taken—their postings, photos, likes, the songs they listen to, the products they like—and determines in milliseconds which items you might wish to see, and in what order. Is this the future for every firm….. The opportunity is simply getting bigger by the day. Every customer interaction is generating a growing trail of data (“data exhaust”). Every machine that services the customer is generating data. Every conversation, transaction, engagement, touchpoint location, offer, response is a potential digital bread-crumb of opportunity. Now let’s flip the context. A typical mobile user check their phone interface 150 times a day for updates. A Gen Y or Millenial user obviously much more than a Gen X user. The consumption patterns for information are changing continuously. Facebook style real-time updates which were revolutionary 5 years ago seem outdated in the mobile world. We live in an “attention deficit economy” where attention is the new basis for competition. The firms that create the evolving experience using data which can grab/hold your attention will attract marketing and ad $$. As a result, the buzz and hype around data…small data, big data, machine data, social data, mobile data, wearables data….is relentless. As a result there are a lot of new initiatives and companies. I have been asked repeatedly by a lot of entrepreneurs and strategy teams about analytics market size and opportunity size. Product and services firms are also interested in opportunity sizing as they create new offerings in the data rich world. I thought i would share a mashup of industry and market sizing data i have collected so far. How big is the overall market for Analytics, Big Data? How big is the market for Digital Customer Interaction or Engagement? How big is the market for Mobile and Social Intelligence? How big is the market for Wearables? What is growing fast, faster and fastest? All good questions as services firms think about digital strategy, analytics and future state. You always want to be in the “hot” area… selling is easier, valuations are richer, revenue growth percentages exponential. In a parody of Start Trek, Silicon Valley technology companies describe their business goal as “Scale, the final frontier…”. Mid-market companies, defined as those having 100-2500 employees, may indeed provide an opportunity to emerging technology vendors to scale their business. According to Techaisle, a market research firm, these 800,000 global companies spend $300B on IT and are sought after by technology vendors big and small. In the last decade, technologies such as Cloud, SAAS and Virtualization have reached scale with a large number of mid-market companies as early adopters. Intuit, Salesforce.com, NetSuite and Amazon are just a few examples of companies who have relied upon mid-market companies as a key building block for their business. What does this mean for Big Data? 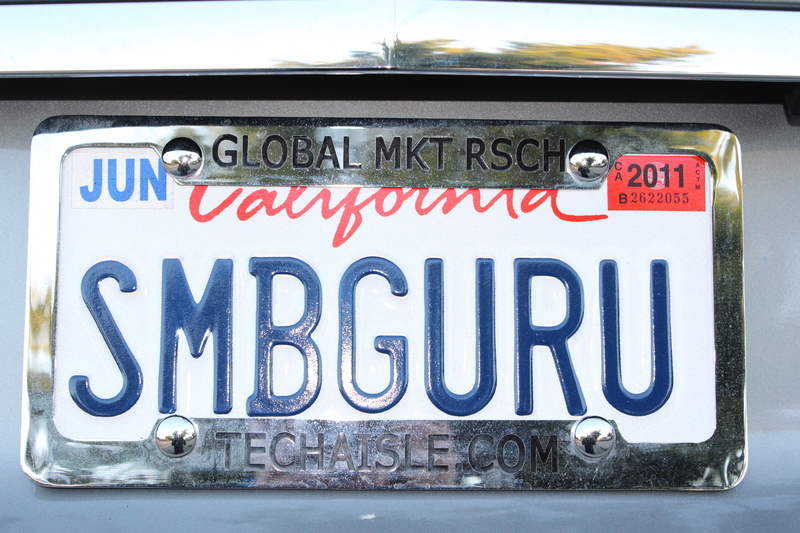 To find out, Carpe Datum Rx spoke to “SMB Guru”, Anurag Agrawal, CEO of Techaisle and the former Head of Worldwide Research Operations at the Gartner Group. Techaisle recently talked to 3,300 global businesses about their Big Data adoption plans. Here is an excerpt from our discussion. If the analytics team wrestles with getting access to data, how timely are the insights? The CIO challenge is not trivial. Successful organizations today operate within application and data eco-systems which extend across front-to-back functions (sales & marketing all the way to fulfillment and service) and well beyond their own boundaries. They must connect digitally to their suppliers, partners, distributors, resellers, regulators and customers. Each of these have their “data fabrics” and applications which were never designed to connect, so with all the data-as-a-service and big data rhetoric, the application development community being asked to “work magic” in bringing them together. Underutilization and the complexity of managing growing data sprawl is not new. But the urgency to address this is increasing dramatically during the last several years. Data-as-a-Service (DaaS) is seen as a big opportunity in improving IT efficiency and performance through centralization of resources. DaaS strategies have increased dramatically in the last few years with the maturation of technologies such as data virtualization, data integration, MDM, SOA, BPM and Platform-as-a-service. The questions which are accelerating the Data-as-a-Service (DaaS) trend: How to deliver the right data to the right place at the right time? How to “virtualize” the data often trapped inside applications? How to support changing business requirements (analytics, reporting, and performance management) in spite of ever changing data volumes and complexity. Fortune 500 organizations will fail to effectively exploit big data for competitive advantage” – Gartner BI Summit. 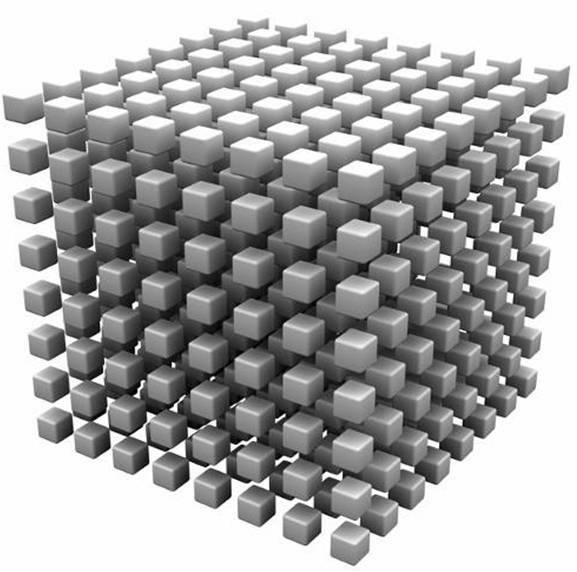 Big data Analytics = Technologies and techniques for working productively with data, at any scale. The combination of the two is the emerging new trend. Why? Many organizations are starting to think about “analytics-as-a-service” as they struggle to cope with the problem of analyzing massive amounts of data to find patterns, extract signals from background noise and make predictions. In our discussions with CIOs and others, we are increasingly talking about leveraging the private or public cloud computing to build an analytics-as-a-service model. The strategic goal is to harness data to drive insights and better decisions faster than competition as a core competency. Executing this goal requires developing state-of-the-art capabilities around three facets: algorithms, platform building blocks, and infrastructure. Analytics is moving out of the IT function and into business — marketing, research and development, into strategy. As result of this shift, the focus is greater on speed-to-insight than on common or low-cost platforms. In most IT organizations it takes anywhere from 6 weeks to 6 months to procure and configure servers. Then another several months to load, configure and test software. Not very fast for a business user who needs to churn data and test hypothesis. Hence cloud-as-a-analytics alternative is gaining traction with business users. Apple with its iCloud offering is attacking the consumer facing digital content big data problem. Big Data is challenging on many fronts from the insights (e.g., analytics and query optimization), to the practical (e.g., horizontal scaling), to the mundane (e.g., backup and recovery). On June 6th, 2011 Apple Inc. launched its new purpose built digital locker service called iCloud for its 225 million iTunes accounts that frees the end-user from the tyranny of the device. The iCloud service is a cloud offering that would allow users to store digital files such as photos, MP3 music, videos and documents in the cloud and access them from Internet-connected devices like iPhones, iPads, iPods, iMacs and others. So, what’s the big deal? They are addressing a classic BI data management problem: How to free up data trapped in “device and application jails” in a user-friendly way. 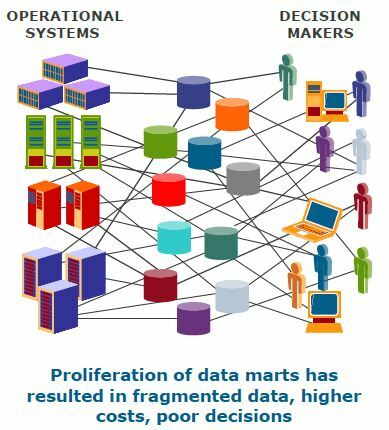 The “scan and match” concept is quite applicable to large scale Enterprise Datawarehouses which suffer from data integrity issues as edge data capture and consumption devices proliferate. Data ingestion, governance and management is a huge problem facing large organizations. As data volumes double every year, not having a basic data management strategy will become an Achilles heel. Most organizations unfortunately don’t know what data assets they have, where these assets are, how they are organized and how well they are secured. 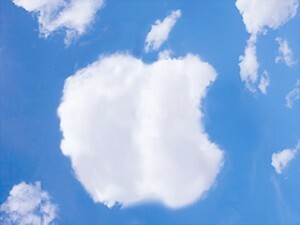 Apple shows a neat way to address the Big Data problem in personal cloud management.